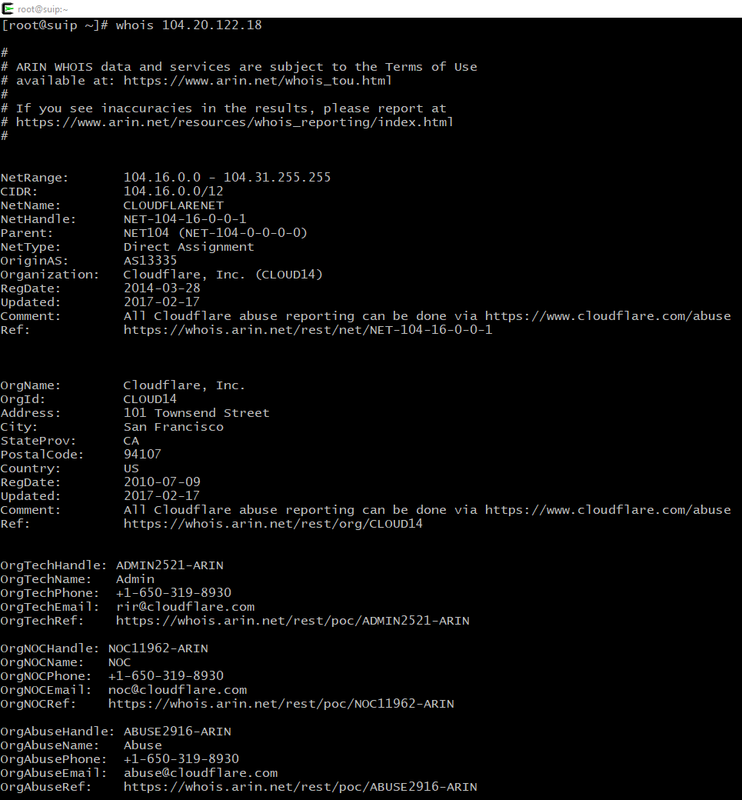 In this note, we will learn how to check whether a site is using CloudFlare or not? Does a site use the CloudFlare IP? The second, even more reliable way to find out whether a site is protected with CloudFlare is to check if the IP of the site of interest belongs to this organization. One or more IP addresses can be displayed, use anyone for analysis. If a ‘Cloudflare, Inc.’ string is present in the information received, then the target site uses the CloudFlare IP and, therefore, is protected by this network. The described methods are automated in the online service, you just enter a domain name of a site and it will check its NS records and its IP for belonging to Cloudflare. Instead of whois, the GeoLite2-ASN database is used, but it does not change the essence.